Some days, it’s hard to get a point across without degenerating into a shouting match. Some days, it is all one can do, just to get a word in edgewise because nobody is listening or absorbing anything from anybody. Some days, it’s just easier to sigh with resignation and wave a little white flag to signify a need to get back onto neutral ground and to request concession. Wouldn’t it be easier, and much more productive if we could find a way to persuade others to our viewpoint, without all the stressful wrangling to begin with? It would certainly be more Taoie and in keeping with what we are trying to cultivate. Hence comes Hexagram 31 – Hsien – Influence – Wilhelm transl. By his readiness to receive them. The hexagram shows a lake over a mountain (and I have noticed that just about every single divination I do now contains a mountain of some sort. It’s like the Universe is telling me that I am going way too fast, and I need to slow down). 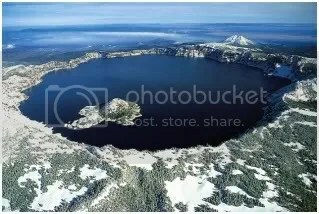 Anyway, if we look at this image of a lake over a mountain, we see that the weak element is above and the strong element is below. This means that to influence others, we must first determine that we are debating the point from the position of strength. After all, if we use the Taoful method, we will most probably gain others to our stance, and if our stance turns out to be weak, we will have thrown away the opportunity to gain a stronger viewpoint, and— if that wasn’t bad enough, we will have influenced someone else to give up their strong argument in favor of our less strong viewpoint, and now both sides are weaker because of it. The mountain, in the position of strength, is actually not trying to jut out and be above the water. Its summit is sunken, to allow the water to be above it. In order to contain the other’s point of view, one has to have an empty void, like a crater at the top of the summit, otherwise, the water runs down the side and is lost. In its emptiness, there is the function of a container. TTC Chapter 11. It signifies that the person in the position of strength is the one who must be the humble one, and allow the water, the weaker of the two, to be above. When strength takes the inferior position, it doesn’t mean strength is inferior, it means the person of strength is taking the stance of consideration towards the person of lesser strength. After all, what is there to prove if you are stronger? It also means that the mind should be kept humble so that one can remain receptive to good advice and not come across as a know-it-all. People soon stop trying to give counsel to one who thinks he knows it all better than everyone else. This is a tough lesson for me to learn because I tend to come across as a know-it-all. But now I understand the meaning of Chapter 48 in the TTC: Pursue knowledge, daily gain. Pursue Tao, daily loss. Great Website, I havnt had a chance to read it all but so much diversity. You may want to check out R.L.WING Tao of Power if you are interested in tetragrams and Lao Tzu’s Tao Te Ching. You’ll need dice! And another thing I have noticed that I am surprised you have not coved is the Plum Blossom method used in I-Ching, looks like you can do the maths.